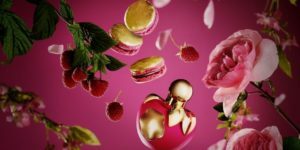 Nina Ricci’s L’Air du Temps fragrance was launched in 1948 and its bottle design has since been reworked by major artists. Nina Ricci‘s L’Air du Temps fragrance was launched in 1948 and its bottle design has since been reworked by major artists. After Joan Rebull, Andy Warhol and David Hamilton, it is now designer, interior architect and landscape artist Olivia Putman’s turn to give her take on the bottle. This new version of the bottle remains quite faithful to the original, with the subtle touches that come with the Putman style (Olivia is Andrée Putman’s daughter). 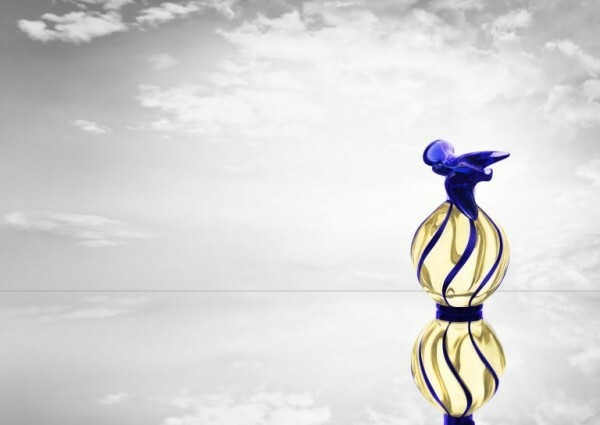 Blue is added to the extremely feminine original bottle and its curves rise up to meet the famous glass birds on top of the bottle. 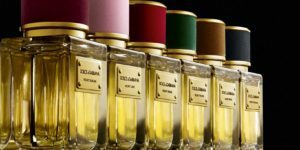 The essence is still the same: 30 components including jasmine, rose, gardenia, bergamot, violet, iris, sandalwood and musk. 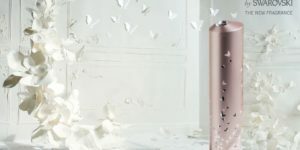 This Olivia Putman collector’s edition of L’Air du Temps will be on sale from May 2 at 85 euros for a 100 ml spray.